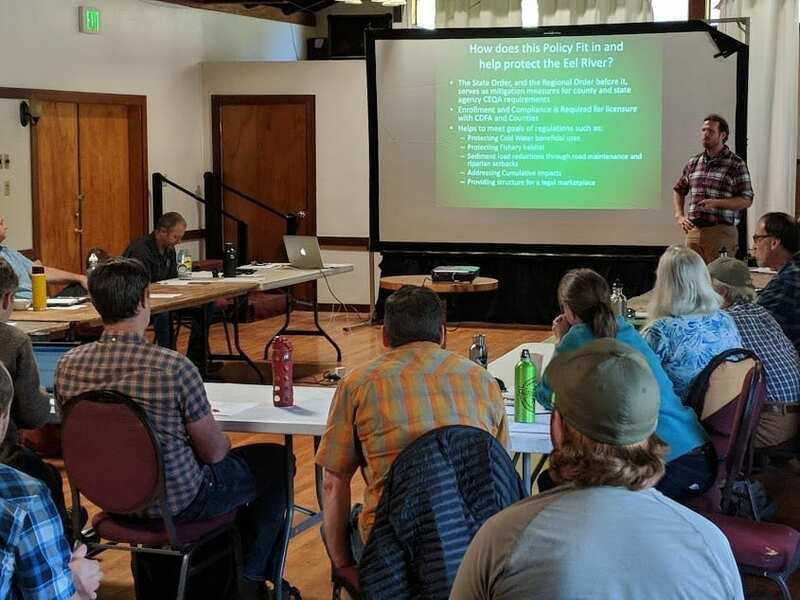 Eel River Forum Archives | California Trout, Inc.
On May 2 CalTrout hosted the Eel River Forum at the Benbow Village Hall along the South Fork Eel River, in the heart of the ‘Emerald Triangle’. The topic of the day was the regulation of water diversions and other policies for the now-legal cannabis industry, many of which were rolled out in 2018 with legalization of recreational marijuana use. 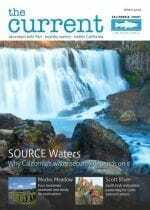 The Forum heard from environmental scientists with the three State Agencies who are responsible for the protection of public trust resources, as well as primary regulatory authority over the water diversion practices commonly used for cannabis irrigation – including springs, wells, and surface water diversions. Staff scientists from the CA Department of Fish and Wildlife, the State Water Resources Control Board, and the North Coast Regional Water Quality Control Board were on hand to present updates on their individual agency policies and guidelines, and then help stakeholders identify the gaps that might exist where those policies overlap. 2018 is a critical year in implementing cannabis cultivation regulations. How has it been going? Are policy outcomes being achieved based on the work that’s being done on the ground? What, if any, factors should be considered to limit the density of cannabis cultivation in local watersheds? 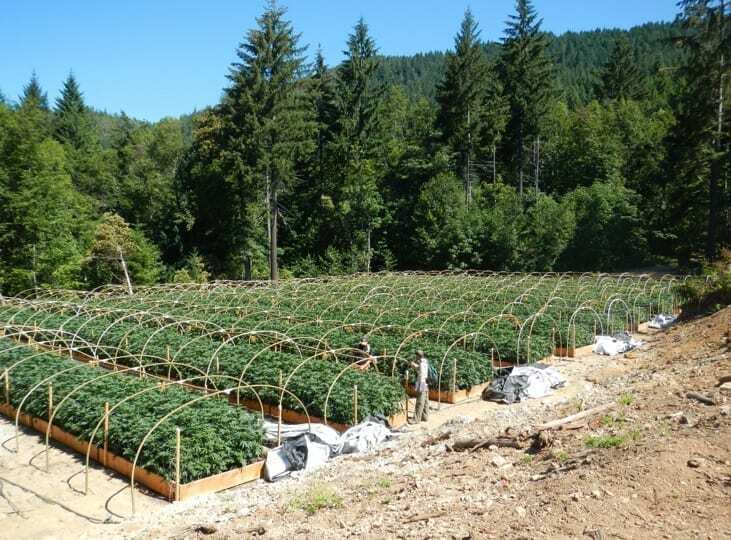 What to do with the issue that only approximately 10% of the estimated 30,000+ cannabis growers statewide have applied for a cannabis license. 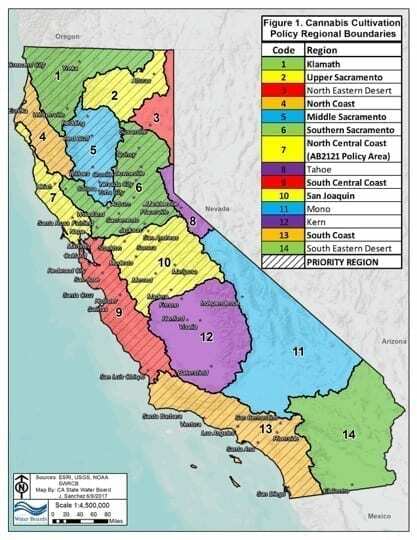 Identifying priority watersheds that are too sensitive or critically important to allow any, or any additional, cannabis farms to be permitted. These are the stronghold watersheds that currently sustain the best wild salmon and steelhead populations. Where to focus funding resources for cannabis site cleanup and remediation in order to reduce or minimize the effects of legal and illegal cannabis production on our watersheds. How will state agencies adapt their regulatory policies and guidelines as permitting, enforcement, and market dynamics change the where, how, and how much cannabis is produced in California. 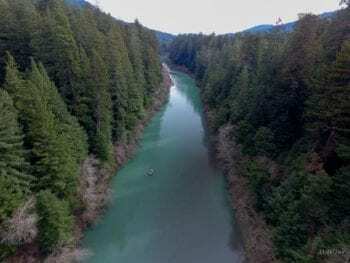 The Eel River Forum is led by CalTrout and comprised of 22 public agencies, tribes, non-profit conservation organizations, and other stakeholders. 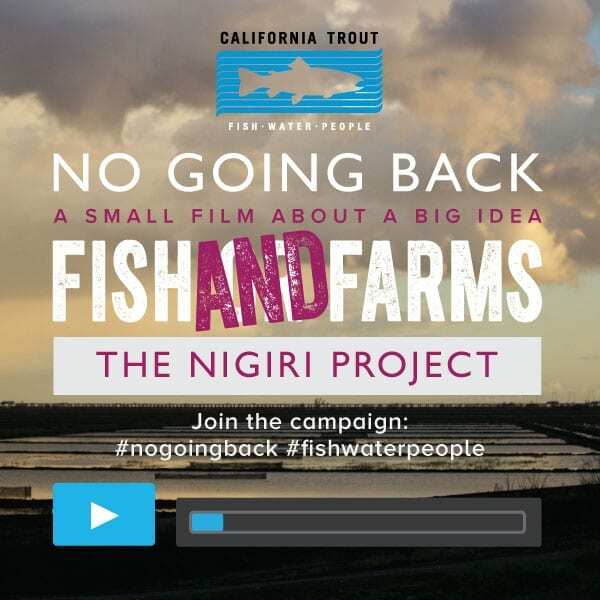 The Forum’s mission is to coordinate and integrate conservation and recovery efforts in the Eel River watershed to conserve its ecological resilience, restore its native fish populations, and protect other watershed beneficial uses. These actions are also intended to enhance the economic vitality and sustainability of human communities in the Eel River basin. 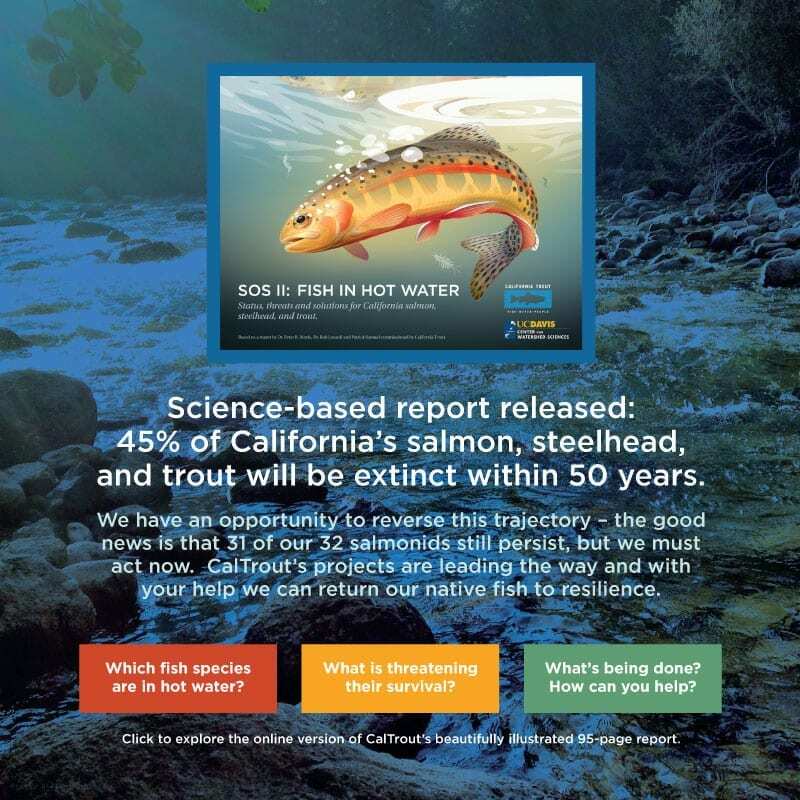 Last week the Eel River Forum, led by CalTrout and comprised of 22 public agencies, tribes, non-profit conservation organizations and other stakeholders, released the Eel River Action Plan. 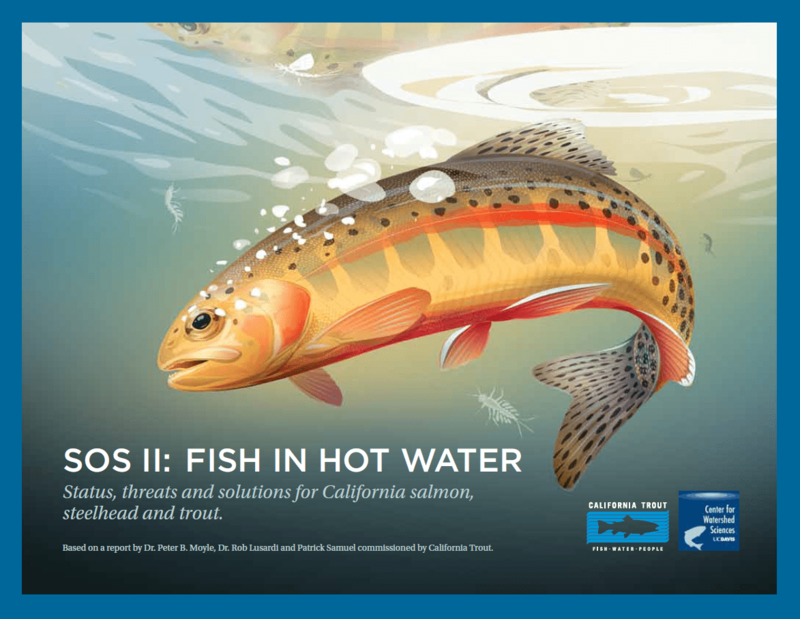 The plan identifies priority actions needed to recover the Eel River watershed and its native fish. It aims to achieve these goals while maintaining multiple land uses and recreation in the watershed. Priority actions in the plan address water diversions, water quality issues, habitat restoration, community engagement and protecting the Eel River Delta. The Eel River is the third largest river entirely in California. 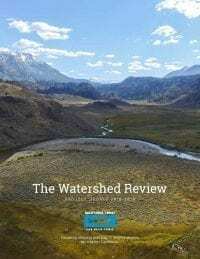 While it was once home to one of the most productive salmon and steelhead fisheries on the West Coast, the health of the watershed has been declining for the past century and a half. 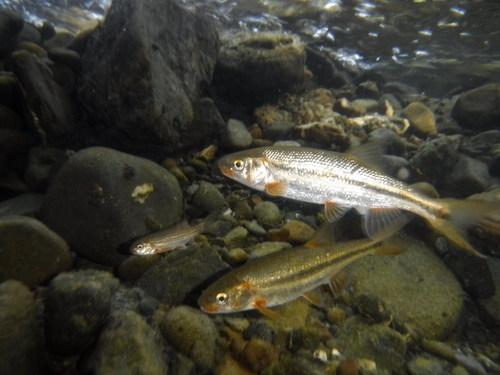 Conditions throughout the system are degraded, putting strain on native fish and other wildlife. 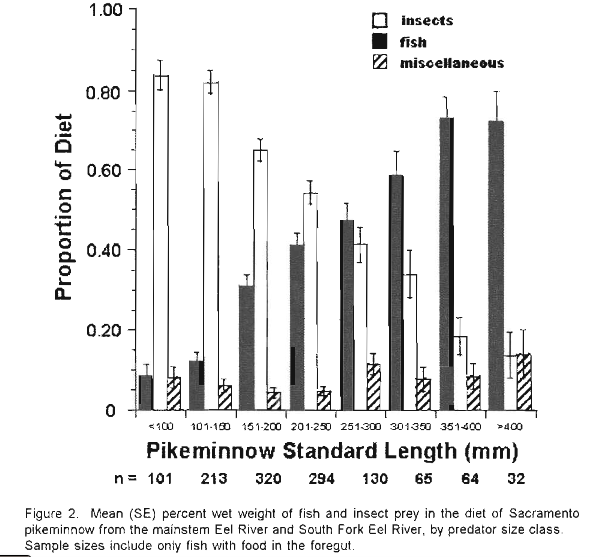 A wide variety of human activities have led to poor conditions along the Eel River and its tributaries. 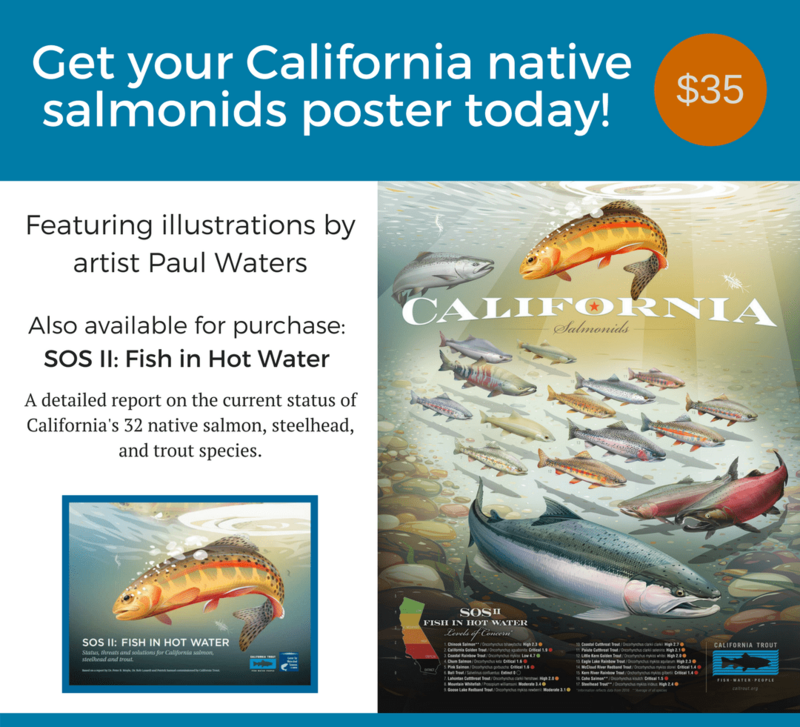 Competition for domestic and agricultural water supplies, increasingly for marijuana cultivation, have led to low flows during the hottest and driest months, which are also the times when native fish most need abundant, cool flows to survive. Water is also stored and then released during dry months to ensure sufficient flows to support hydropower generation at the Potter Valley Project. Water quality has been compromised from everything from sedimentation from timber harvesting practices and poorly constructed and maintained road networks to the conversion of pristine old growth forests to crowded stands in a heavily roaded landscape. The plan identifies targeted actions to address these concerns as well as specific activities aimed at habitat restoration in high-priority areas that are likely to provide the most benefits to wildlife. 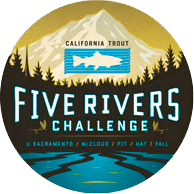 It also outlines specific actions to benefit the Eel River delta and estuary and opportunities for engaging the community in the recovery and restoration of the watershed. It identifies a unified vision for priority actions to ensure that small-scale efforts undertaken by a variety of public and private organizations will work together to address the most urgent restoration needs. The Eel River Forum has been meeting over the past four years to create a unified vision for how to protect and restore this iconic river and the native fish that once teemed in the river and its tributaries. With the plan complete, forum member organizations can leverage the action plan to demonstrate support for their independent work to implement targeted, high-value improvements throughout the system. The completion of the Eel River Action Plan is particularly timely as PG&E’s Potter Valley Project approaches relicensing by the Federal Energy Regulatory Commission in 2017. 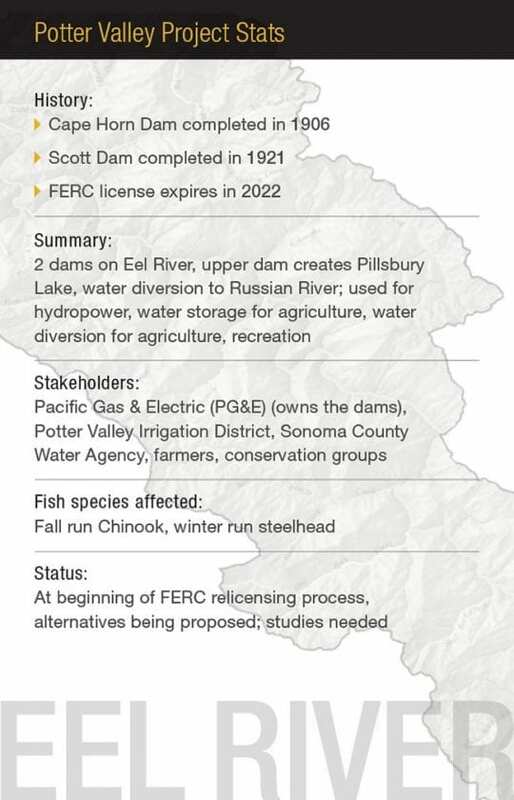 The FERC relicensing project will consider how the management of the Potter Valley dam and diversion affects the health of the river and its native fish. By establishing clear baseline conditions and priority actions for improvement, the plan provides important data points for FERC and PG&E. 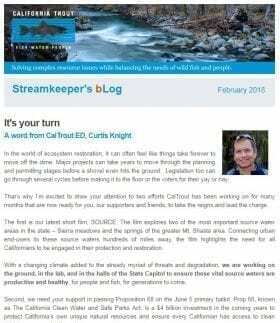 The 22-member Eel River Forum was convened by California Trout. 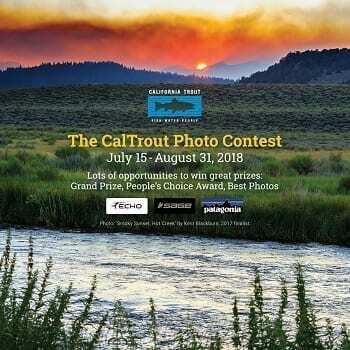 Additional members include representatives from non-profit organizations Coastal Conservancy, Eel River Watershed Improvement Group, Environmental Protection Information Center, Friends of the Eel River, Friends of the Van Duzen River, Salmonid Restoration Federation; local tribes Round Valley Indian Tribe and the Wiyot Tribe; Pacific Gas and Electric Company’s Potter Valley Irrigation District; and government agencies California Department of Fish and Wildlife, California State Parks, Humboldt County Resource Conservation District, Mendocino County Resource Conservation District, National Marine Fisheries Service, North Coast Regional Water Quality Control Board, Sonoma County Water Agency, US Bureau of Land Management, US Fish and Wildlife Service and the US Forest Service. Learn more about the Eel River Forum here. 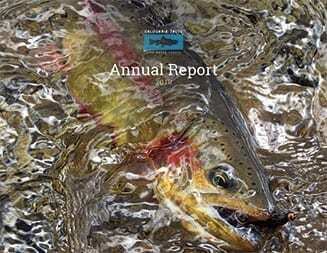 A PDF of the Eel River Action Plan can be downloaded by clicking here.